Today is National Creamsicle Day. I love creamsicles just as much as I love these wacky holidays. I used to go to the Jersey Shore when I was growing up and I loved going on the boardwalk and having a creamsicle soft serve ice cream. Hot day, fun boardwalk, and a yummy ice cream… perfection at the shore. 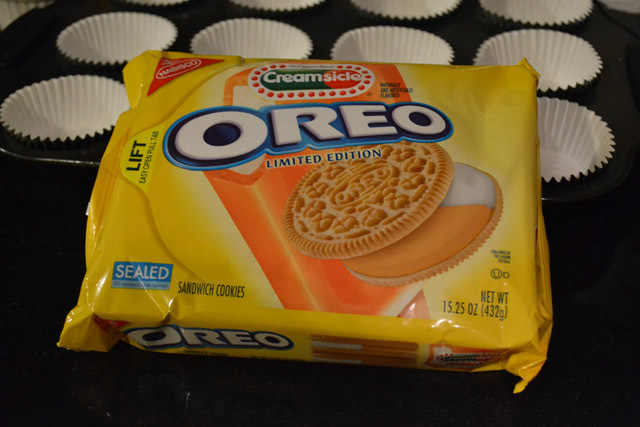 So when I saw the limited edition Oreo Creamsicle Cookies recently I immediately tossed them in my basket. They are a vanilla cookie with an orange flavored cream filling. I knew that I would love dunking them in some milk and just eating them as well as making mini cheesecakes with them. Preheat the oven to 325. 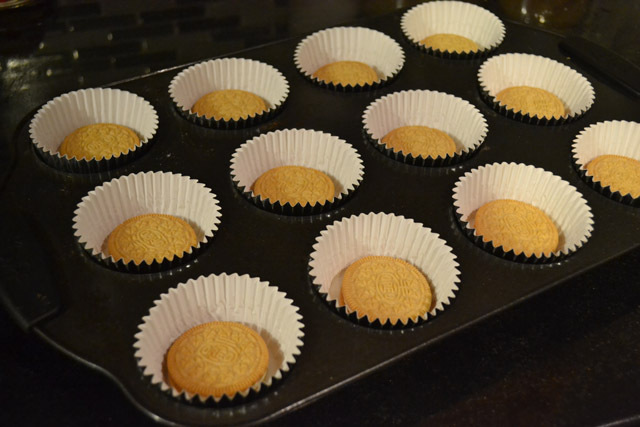 Line a 12-muffin pan with cupcake liners and then place 1 Oreo Creamsicle Cookie in each liner. 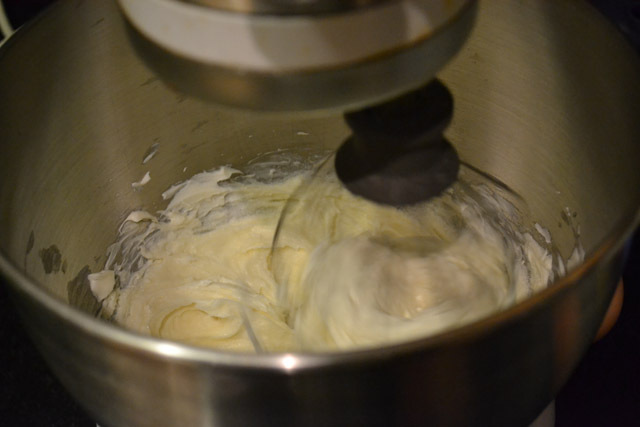 Using a hand mixer or stand mixer, beat cream cheese until creamy. Gradually add the sugar, salt, and orange extract; beat well. Add eggs one at a time, mixing just until blended. 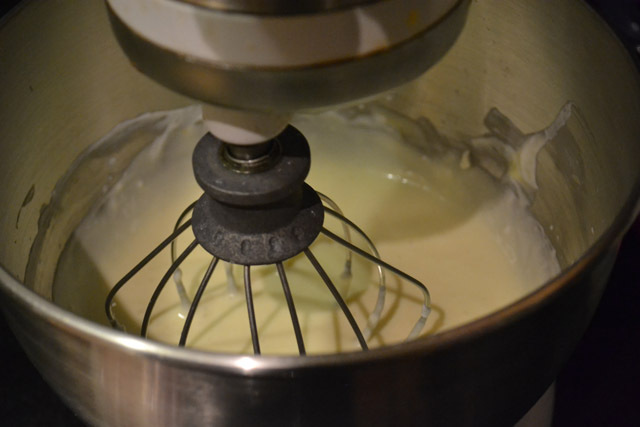 Stir in yogurt until the cheesecake filling is evenly mixed. Remove a 1/2 cup of the cheescake filling and set aside in a bowl. Add 1 drop red and 3 drops yellow to the filling and mix until the color is even. 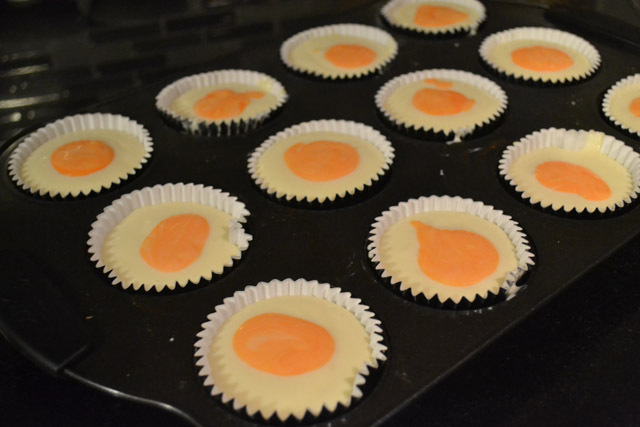 Evenly divide the batter into liners, then add the orange colored filling among the cheesecakes. 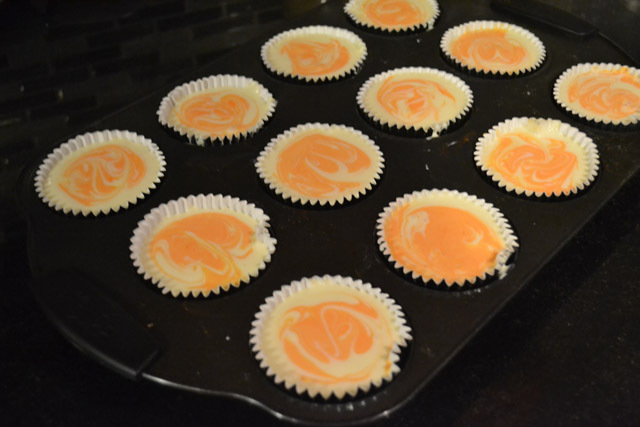 Using a toothpick swirl the cheesecake batters together for a marbled effect. 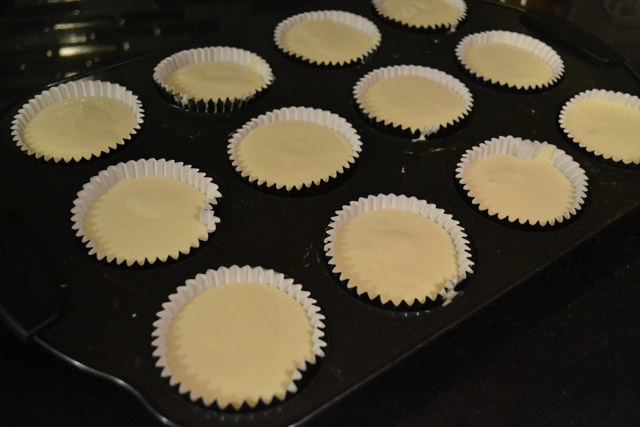 Bake for 15 minutes or until tops of cheesecakes are puffed and only slightly jiggly in the very center. Cool to room temperature and then refrigerate for at least a couple hours, preferably overnight, until serving. 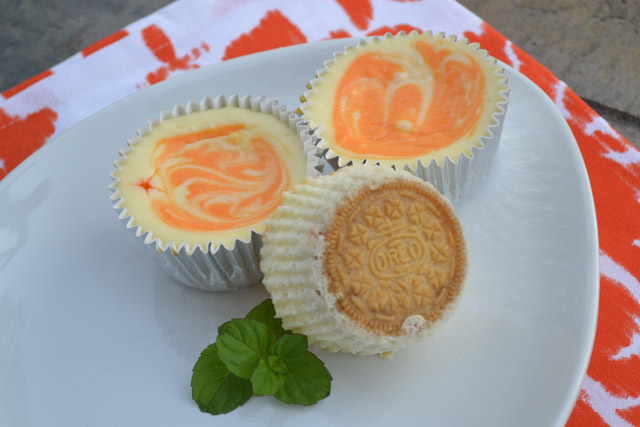 Check out my other Mini Cheesecakes! Holy crap! These are adorable. You didnt say they were mini last night. That makes them even better. I am really jealous of the fact that you get all the swanky Oreo flavors. National Creamsicle Day? And Creamsicle Oreos?? That’s awesome! Looks so good! I can’t even believe they make Creamsicle Oreos! I need to pay more attention to the cookie aisle! These are soooo cute! I want!